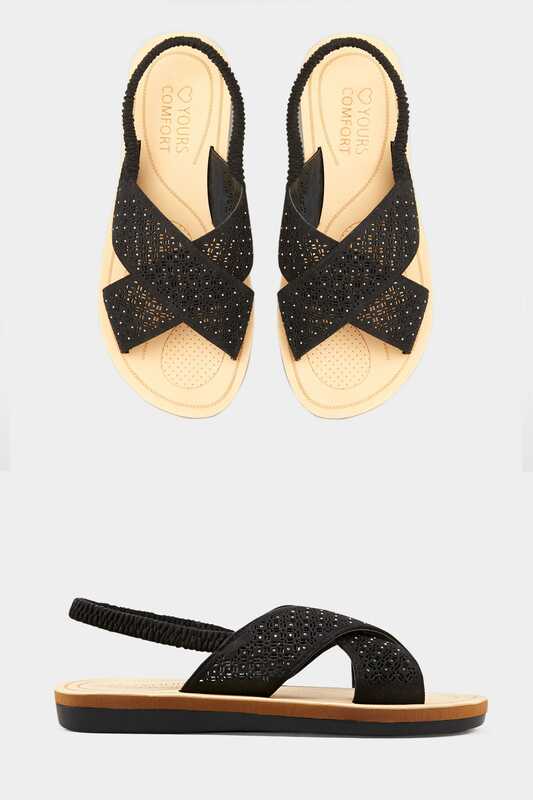 Prep your wardrobe for the warmer weather with these stylish sandals. 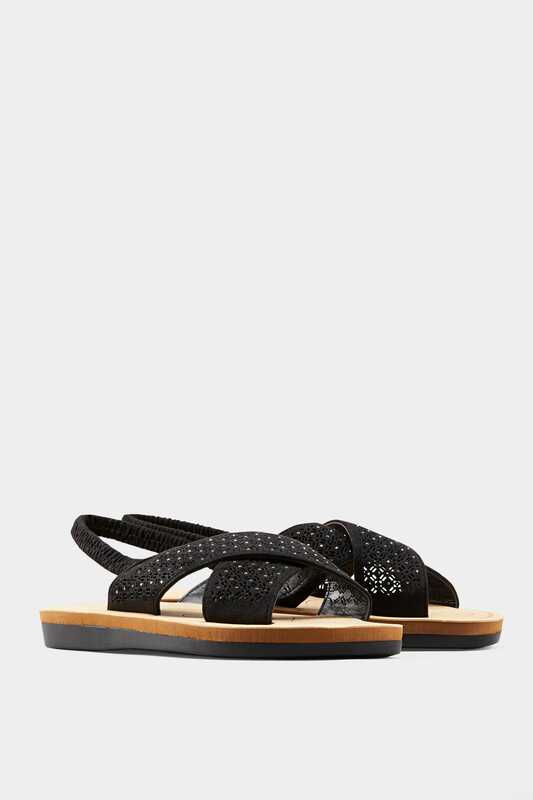 Designed with a cross over shape, they feature laser cut out detail and diamante embellishment. 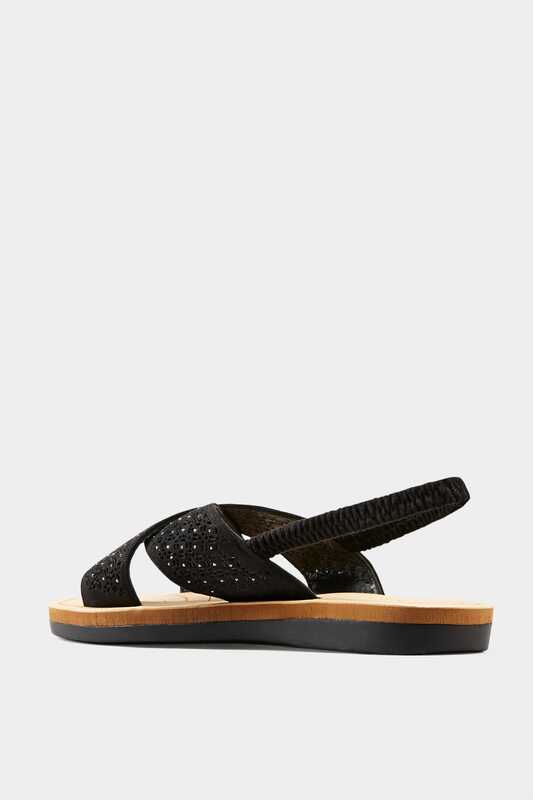 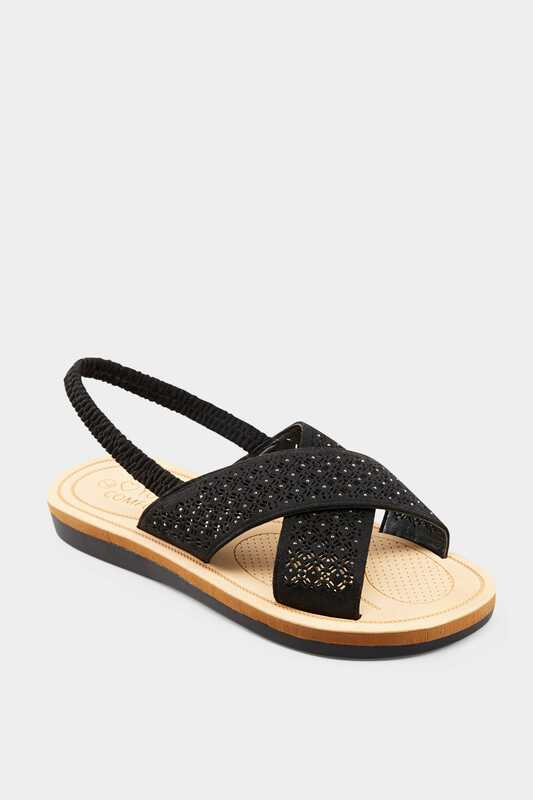 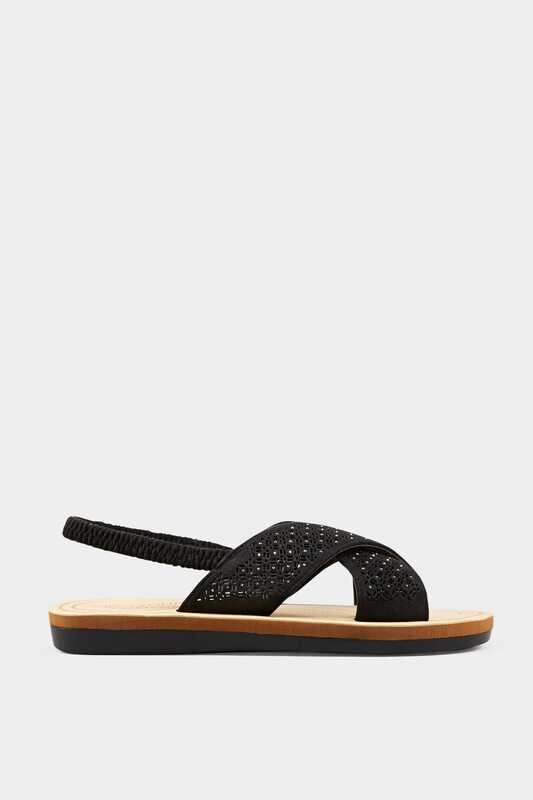 Finished in a sparkly shimmer, they also offer a memory foam flexi-sole and an elasticated strap for an easy and comfortable wear.